"As the company has stated, it is exploring and preparing for any number of eventualities and options, given the amount of litigation the company currently faces," Purdue Pharma spokesman Robert Josephson said in an email to The Associated Press. "A decision has not been made to file for bankruptcy, nor is there a timetable." The company is owned by members of the Sackler family, who have given money to museums around the world, including the Smithsonian Institution in Washington, New York City's Metropolitan Museum of Art and London's Tate Modern. A court filing made public in Massachusetts earlier this year asserts that members of the family were paid more than $4 billion from Purdue from 2007 to 2018. 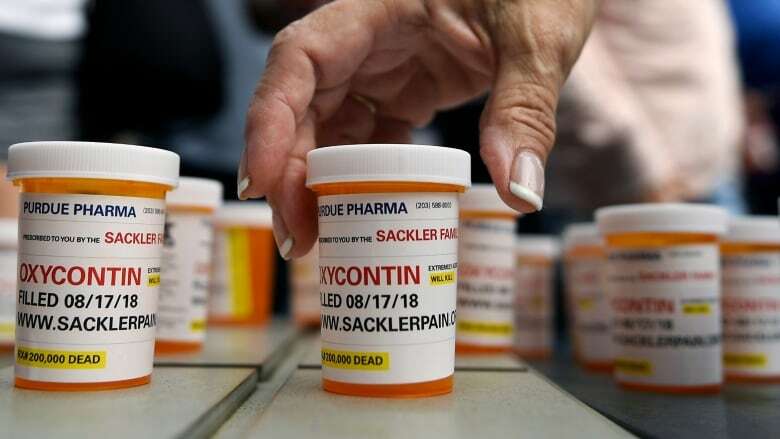 The lawsuits assert the Stamford, Connecticut-based company aggressively sold OxyContin as a drug with a low chance of triggering addictions despite knowing that wasn't true. Purdue's drugs are just a slice of the opioids prescribed, but critics assign a lot of the blame to the company because of it developed both the drug and an aggressive marketing strategy. A federal judge overseeing more than 1,300 of the cases against Purdue and other companies has been pushing the parties to reach a grand settlement that would make a difference in the opioid crisis. The judge, Cleveland-based Dan Polster, has scheduled a trial for the claims brought by Ohio's Cuyahoga and Summit Counties for October. Purdue's statement to the AP came the same day The Washington Post published a story in which company president and CEO Craig Landau acknowledged bankruptcy is under consideration. One lawyer who is suing Purdue on behalf of clients including the city of Albuquerque and the state of Utah said it's long been thought that Purdue couldn't afford to pay the massive amounts being sought in the lawsuits. "I don't think there's enough money in that company to pay for the damages that are claimed," said Jonathan Novak. Abbe Gluck, a Yale Law School professor who has followed the case, said even if the Oklahoma trial moved ahead "nobody is going to get paid ... without coming to the bankruptcy court, once Purdue files." There's a history of bankruptcy claims by organizations facing big lawsuits. Dozens of asbestos companies have done so since the 1980s. Last year, USA Gymnastics filed for protection as it faced lawsuits over sexual abuse by team doctor Larry Nassar. Earlier this year, Pacific Gas & Electric Corp. sought bankruptcy protection because it faces billions of dollars in potential damages from lawsuits over catastrophic wildfires in California. "That's not the jury you want to face," said Buccola, who teaches at University of Pennsylvania. "So you might try to stop that litigation from happening and consolidate it in front of bankruptcy judge who you hope will be more favorable."